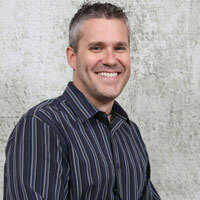 Mark Hart serves as Executive Vice President for Life Teen International. A graduate from the University of Notre Dame, Mark is a best-selling and award-winning author (or co-author) of over a dozen books. His wildly popular DVD Bible Study Series,”T3″ is revolutionizing Catholic youth/young adult Scripture Study. He has traveled the globe speaking to millions of souls, maintains a daily social media ministry (through Facebook and Twitter) and is a regular guest on several Catholic radio programs. Mark’s weekly audio podcast (entitled Sunday, Sunday, Sunday), HD video spots (Beyond Words) and other original resources are utilized in youth groups, homes and classrooms in well over two dozen countries. Mark’s humor and his passion for Scripture are helping hundreds of thousands of Catholics, young and old, begin to read and study the Bible in engaging and relevant ways. Mark and his wife, Melanie, have three daughters: Hope, Trinity and Faith and they live in Arizona. Mark has offered keynote presentations, led retreats and offered missions in over fifty dioceses across seven countries, including World Youth Day events, NFCYM gatherings, Eucharistic Congresses, and Franciscan University of Steubenville and University of Notre Dame Summer Youth Conferences.